He burps the baby. Or drives the tween to every sports practice. He feeds the cat and he mows the grass. Given enough notice, he’ll attend those mid-day school assemblies or sell Girl Scout cookies at his workplace. He is Papa, Pa, Dada, Daddy, Father, Daddio, Dad and it is time we celebrate him. What better way to honor the Dad in our lives by giving him one of these fantastic Father’s Day gift ideas? My husband would proudly wear this. Notice the intricate detail of “hate” spelled in bacon strips. That’s craftsmanship, right? My husband would NOT proudly wear these. But, they make me laugh. Maybe he’d sport them around the house for a giggle. Canned. Bottled. Craft. Micro. Macro. If your dad is like my dad, or the father of your children like the father of my children, then he’ll like beer. My husband loves to go to the grocery store on Father’s Day and pick out steaks that he then grills with gusto. Meat + fire = Happy Father’s Day. Soap is a great idea for a Father’s Day gift, especially when you’ve run out of other ideas. 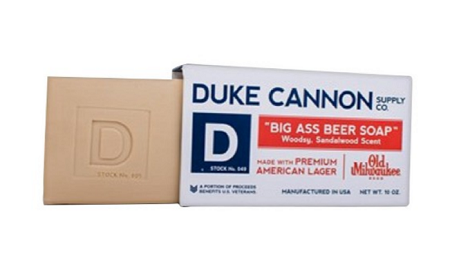 I like this brand that I saw at my local Hallmark store: Duke Cannon Supply Co. They have fun scents like “Big A## Brick of Soap” made with Old Milwaukee beer or “Brick of Soap” modeled after soap used by GIs during the Korean War. See? They even put history in their soap and most dads like history, too. Now if you’ll excuse me I have to do some shopping. I think I might spring for everything on my own list! What’s on your Father’s Day gift list this year? Disclosure: I have no disclosure to make in a disclosure statement because none of these companies paid or gave me anything. I just like this stuff. The socks made me laugh, too! Thanks, Nicky! Is Father’s Day the same time of year on your side of the pond? I know Mother’s Day is different than ours. Well, whenever it is, give your dads the best, right?! My husband would probably give me the stink eye if I got him soap for Father’s Day but I think he’d be a fan of the brand you mentioned! 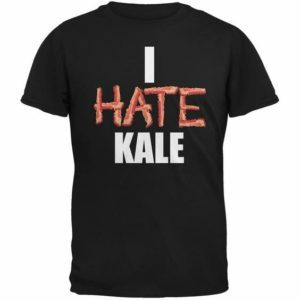 He’d totally wear that Kale shirt. My brother-in-law practically lives in funny shirts like the kale one. Meanwhile, my husband loves soap so much he subscribes to a service–ha! KATY! 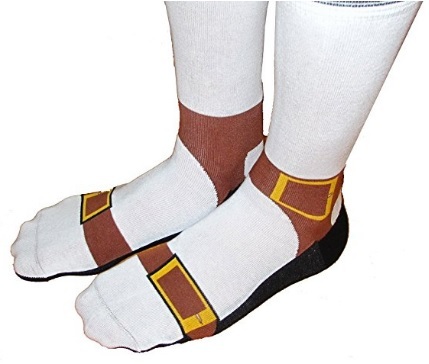 Those sandal socks are hilarious and perfect for the dads in my life! hahaha! I will keep that in mind for next year!